If you’ve ever played a game through to the end, you know that strange mix of excitement and depression that hits as you realize that the characters that you’ve loved for the last few weeks or months have completed their story leaving you with no more websites to obsessively check or forums to read or fellow players to talk with. It’s bittersweet and it’s what I call the ARG Hangover. I woke up with a doozy of one on Monday morning. ARGfest was over and here I was still in San Francisco. I suppose that I shouldn’t complain. I’m here for the Game Developers Conference (GDC). It’s a huge and amazing conference that’s the highlight of the year for many game folk. But it is no ARGfest and after such an amazing weekend, I wasn’t expecting much. Boy, was I surprised. It’s something to sit in a conference room filled with ARG folk – everyone there knows about the magic of Alternate Reality Gaming. We can get excited and discuss or debate the nuances in a way that only those familiar can. It’s filled with our own experiences and, even, biases. It’s something completely different to sit in a conference room filled with folks with a passing awareness, with experiences completely different. And, when the panelist in the front of the room is discussing the power of Alternate Reality Games to alter our own reality for better, it’s absolutely inspiring as you look over the crowd and see their eyes get bigger, their curiosity aroused. As another year has come and gone, looking back at 2006 shows that it was a good year to be involved in alternate reality gaming. All in all, the year saw the genre receiving ever greater mainstream recognition, evolving in ways both anticipated and surprising, and adapting enthusiastically to an ever-increasing variety of platforms, media and participants. 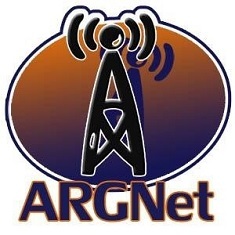 It also saw major changes here at ARGNet, as we rebranded ourselves, added some new staff members, and initiated the ARG Netcast. We were also proud to bring our readers coverage from SXSW and were ecstatic to be a network partner for PICNIC ’06. The ARG community continued to grow, as Unfiction hit 10,000 members and Immersion Unlimited went over the 1300 member mark. In addition to longer-running corporate games like Perplex City, Studio Cypher, and Edoc Laundry, there were a number of well-executed and enthusiastically-received large scale indie games. It seems like the year has gone quite quickly, but not without some major stories and exciting developments. So, without further ado, here are the highlights, events, games, and trends that caught our attention. Alternate Reality Gaming: A Dog-Eat-Dog World? April 18, 2005 / Jonathan Prendergast / Comments Off on Alternate Reality Gaming: A Dog-Eat-Dog World? I am sure that we have all pondered how the world of Alternate Reality Gaming will shape up in years to come. Will our genre be overshadowed by rabid publishing houses, clawing at each other for the largest market share, or will the dedicated PM with 63 dollars and three cents reign supreme? The only real disadvantage of a grassroots game it that many have launched, attracted followers, and then collapsed prematurely the next weekend! It is mainly this fear that stops us normally eager ARG’ers from diving headfirst into a newly launched grassroots experience. Investing our time and effort in it only to see it meltdown becomes depressing after the nth time.